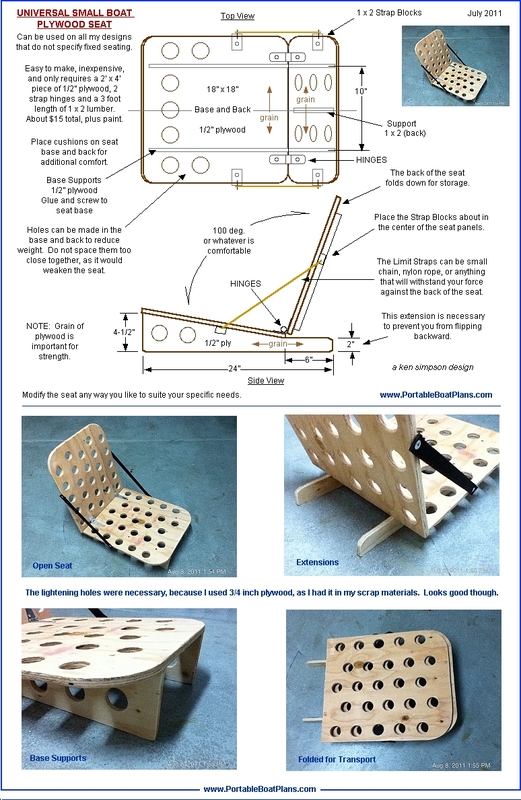 This is a simple to make, and use, folding seat. It can be made from scraps, as I did, or a new 2' x 4' piece of 1/2 inch plywood. Click on the File Link below, and download the plan. Select Print or Save, your choice. The seat below is even easier to build, and lighter in weight. It also sits a little lower in the boat, allowing a cushion to be used for comfort. Click the HOME Tab in the Menu Bar to return to the Home Page. 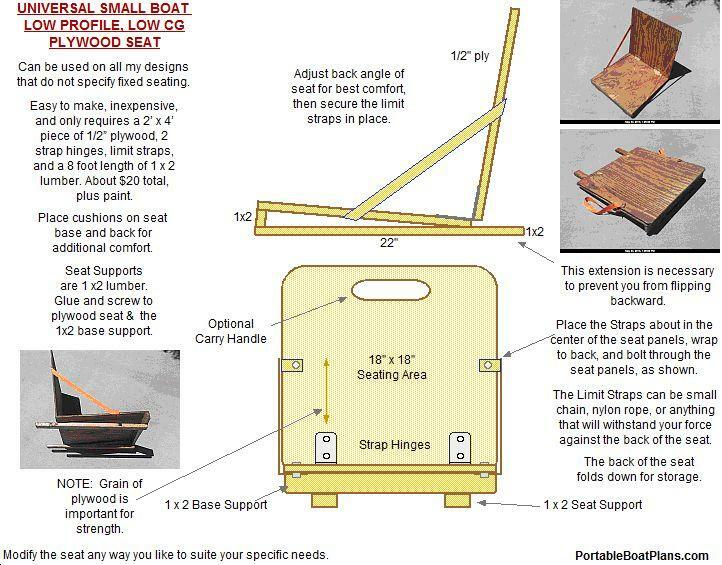 Thank you for your interest in my Portable Boat Designs.